Growing up in a low-income family, Sabrina Mutuskina’s parents worked a dry cleaning business around the clock. Mutuskina spent most weekends there as a child, helping out by scrubbing collars, greeting customers and sending out mail. Childhood experiences at her parents’ dry cleaners instilled in her a strong work ethic and a love for entrepreneurship. At university, Mutuskina realized that working from a young age had shaped much of her identity and made her passionate about connecting youth from financially needy families with jobs that valued their potential. And thus, The Town Kitchen, a community-driven food company that employs low-income youth in Oakland, California, was born. “I created The Town Kitchen to combine all of my passions: youth employment, small business and my love of food,” Mutuskina said. The Bay Area-based company makes and delivers locally-sourced boxed lunches to consumers. But offering employment at a fair wage isn’t the only way the youth benefit; they’re also given social justice and entrepreneurial training through education partnerships. Roger Dvalos, who The Town Kitchen named ‘employee of the month’ in October, joined the company in May 2015. Soon, Dvalos will be starting college at San Francisco State University. Mutuskina’s passion for inspiring an entrepreneurial spirit in youth stands loud and clear. “When my oldest daughter was diagnosed with multiple food allergies, it really hit us in the pocketbook,” Emily Brown, the co-founder of Food Equality Initiative, told Nation Swell. Food Equality Initiative, which runs ReNewed Health, an allergy-friendly food pantry in Kansas City, is the brainchild of Emily Brown and Amy Goode. The pair was prompted by their own struggles in finding affordable food for their children, who have severe allergies, to open the pantry. According to Brown, allergy-friendly and gluten-free food can be two to four times the cost of shopping for a regular diet. “We realized there were a lot of people in the same boat as we were who couldn’t afford these foods,” said Goode. Food Equality Initiative strives to create a safety net for low-income families who, on top of paying other bills, have the additional burden of budgeting for allergy-friendly foods. Often, federal assistance does not pay for these foods, making it hard for financially needy families to comply with the exorbitant cost of catering to a special diet. The pantry serves clients who have one or more family members that are diagnosed with food allergies or celiac disease. In order to qualify, they must also demonstrate financial need. Stocked by donations from food drives, manufacturers and the public, the pantry has distributed more than 12,350 pounds of allergy-friendly food since its inception in 2015. Brown’s daughter was diagnosed with allergies to peanuts, milk, eggs, wheat and soy. Trips to the supermarket, where everything was expensive, and trips to the food pantry, where almost nothing fit her daughter’s diet, left her feeling frustrated. “I work relentlessly to make sure that nobody in my city has to experience what I experienced,” said Brown. “We would love to see our pantry model replicate all across the nation because we know this is a need that exists in every community, not just Kansas City,” said Brown. Such are the words of Fernanda Bianchini, the founder of Fernanda Bianchini Ballet Company. 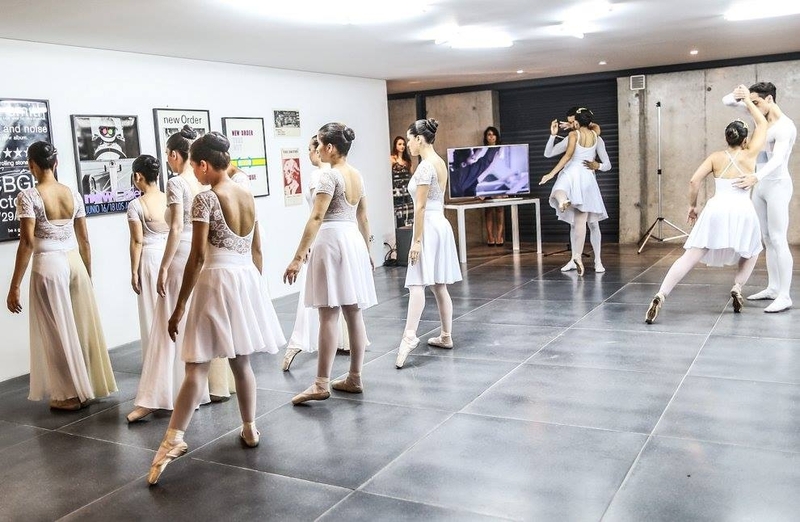 The dance school is the only one in Brazil, and one of the few in the world, to cater to visually impaired dancers. Since its inception in 1995, the school has been offering free classes that are mainly funded through donations. Bianchini says that the school's main goal is for students to improve their posture, balance, spatial sense and self-esteem, in addition to breaking barriers and prejudices about people with handicaps. Without the aid of sight, the process of learning dance is very different for the visually impaired, and comes with a much steeper learning curve. “The method is all through touch and body perception. The students touch my body, feel the movement and afterwards try to reproduce it in their own bodies,” Bianchini told AJ+. Geysa Pereira, an instructor at the school and herself visually impaired, acknowledges the difficulties of dancing as a visually impaired person. Nevertheless, the dancers at Fernanda Bianchini’s school have proven that their passions can – and do – triumph over these hardships. They stage regular performances, and in 2012, four dancers were selected to dance with the Royal Ballet in London during the closing ceremony of the London Paralympics in 2012. “It was a wonderful and unforgettable experience for us, an opportunity that I could never imagine,” said Marina Guimarães, one of the dancers who performed in the ceremony. Children at the Zaatari refugee camp in Jordan are learning the art of Taekwondo, thanks to a team of passionate Korean trainers who are teaching the sport as a means of instilling discipline and self-respect in kids who have faced trauma in their lifetime. Charles Lee, who has lived in Jordan for over 10 years working as an acupuncturist, believes in the power of taekwondo in fostering the development of the refugee children, many of whom do not attend school or have any sort of mentor to guide them. “I want to teach them to have more sportsmanship and to change how they think. 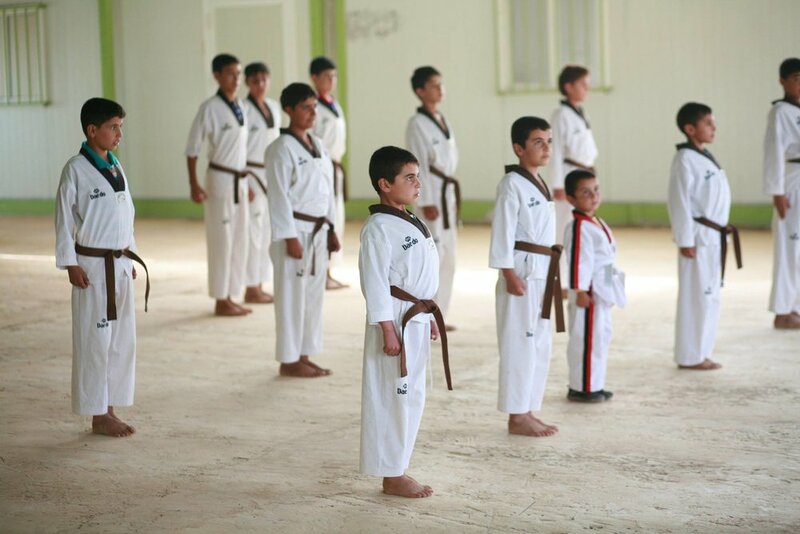 I want them to be peaceful and to help their neighbors and communities,” -Lee, the founder of Zaatari Taekwondo Academy, told the Times of Israel. The taekwondo program took off with the support of UN relief agencies. Lee also trained adult refugees, many of them sports coaches, so that they could run classes themselves and reach more children through the program. According to Lee, the child refugees are often prone to violence, having grown up around it majority of their lives. Their favorite “game” to play is throwing stones at each other. From the taekwondo classes, the trainers are seeing remarkable growth in the children. “It has changed the character of the boys. They rely on themselves now, and the girls have stronger personalities,” - Mohammad Rashid, a physical education teacher, told AJ+. Muskaan Ahirwar just might be the youngest librarian in the world: this nine-year-old girl, who lives in a slum in Bhopal, runs a library for children just outside her house. When the state’s education center realized that children lacked interest in and access to books outside of school, they decided to do something to promote reading in the slum area. The education center held a quiz to create interest among the children, and Muskaan’s high score and enthusiasm impressed all the members of the center. They asked her for ideas on how they could educate the children living in the slum, and from then on, Muskaan’s library idea was born. "I love doing this. Other children in slum area take books and then return other day. Some stay back to read here with me and ask questions where they don't understand," Muskaan told Times of India. The library now has over 700 books donated from elsewhere in India and overseas, and has become a popular hangout spot for the children. “Once I started the library, children who used to roam around have found new interest in reading and come regularly,” Muskaan told AJ+. Children also play trivia games and have discussions about the books they’ve read at the library. “Whoever has the drive to learn, they should start their own library and start learning, and study like us and get ahead in life,” Muskaan said. Inside a small cinema in Jakarta, Indonesia, muffled back-and-forth conversation can be heard as movie watchers talk quietly amongst each other. No – they aren’t being rude. This is a typical night at Bioskop Bisik, a “whisper cinema” designated to help visually impaired people enjoy a movie with the help of volunteers describing the scene. “I want people to accept that people with disabilities, especially people with visual impairments are part of society,” the mastermind behind the cinema, Cici Suciati, told AJ+. Screenings are held in the second week of every month at an alternative cafe space that deems itself as a “culinary cinema”. Volunteers are recruited through social media, many of whom help out regularly. “This is a new and fun way of volunteering. I can give something to others in a way that’s never been done before and I’m able to see differently from their perspective,” Dina, a volunteer, told The Jakarta Post. While listening to the audio can give visually impaired moviegoers a good idea of what’s going on, it often is not enough to set the provide all the information needed to understand a scene. An out-of-context scream, for example, can be interpreted as one of joy or frustration. “This helps me a lot in terms of widening my horizons as a visually impaired person who likes movies very much,” said Siswanto of the initiative. What he likes best about running? Finishing. Maurice is a member at the Philadelphia chapter of non-profit organization Back On My Feet (BoMF). Founded in 2007 by Anne Mahlum, who started a running club for men at a shelter near her home, BoMF aims to empower those who are homeless through the power of running. Across 12 cities in the U.S. including Chicago, New York City and its newest addition, San Francisco, members commit to 5:30 early morning runs on Mondays, Wednesdays and Fridays. Some have families and some are working on their high school equivalent diploma, but they’ve all got one thing in common: the desire to achieve new goals, one step at a time. BoMF believes that running offers powerful lessons for life, teaching us that we have to run miles one through nine to get to 10. Recognizing that homelessness isolates individuals from the norms of everyday life and leaves them distanced from the people around them, the early morning runs with others affected by homelessness and volunteers who believe in the cause give members support and a sense of community. Running gets members active and more conscious about their health, though the ultimate aim of BoMF is much more than that. Members with 90% attendance in their first month with BoMF, showing commitment to the program, move into its second phase: Next Steps. From then on, members are provided access to educational support, employment opportunities and housing resources, giving them the help they need to restart their lives. In particular, BoMF’s employment program helps many of its members find work. Gaps in employment and a lack of critical workforce training are just some of the barriers that make it difficult for the homeless to find long-term, sustainable jobs. To make up for this, BoMF partners with companies across the country to provide training in areas including customer service, financial literacy and Microsoft Office. Members can also work to get qualifications such as food handling and forklift operator certifications. Established organizations including Marriott Hotels, Macy’s department store and CVS pharmacy partner with BoMF, provide employment opportunities to members when qualified. BoMF continually invites business owners seeking hardworking and committed employees to contact them for potential partnership. With a regular job and a stable income, members find independence and new meaning in their lives. Mark, also a member of the Philadelphia chapter, took part in the programs offered by BoMF, among them a forklift certification, Bank of America financial courses, AT&T technology training and an Accenture workshop in resume building and mock interviewing. “I took advantage of all the classes because they all benefit me. I wanted everything that I could get out of Back on My Feet, that’s why I apply myself. I’m motivated and I’m trying to achieve my goals and what I want to do in my life right now, so I took advantage of the program and it’s working for me,” Mark explains. BoMF recruits members at homeless and residential facilities around the country. Many of its members are recovering from drug and alcohol addictions, some have spent time in jail, and they are in general at a low point in their lives. The discipline it takes to stick to an early morning regime three times a week encourages members to believe that the goals they set for themselves are within reach. Many find passion in the sport, doing training on their own and signing up for runs in their community. Thanks to BoMF, Donna managed to kick a 28-year addiction of cocaine. The first time Donna joined a run, she thought she was too sick and old to do it. Members and volunteers recognized her struggle and motivated her to keep going. Her father’s passing turned into a hard battle against turning to drugs again, but she was determined not to let her new friends down. Donna pressed on, showing up at all her runs and doing her best. Her newfound confidence inspired her to set a goal to complete a 13.1-mile run, and she did it. “I’m doing everything in life that I always wanted to do,” said Donna. Janet here owns her own floristry business and sells a beautiful array of flowers. Little would anyone guess that, as a side fact, Janet is an ex-offender. Janet’s flower shop stemmed from an interest which then later blossomed into a career, mind the puns, with the help of “Startup”. Based in the UK, the charity Startup offers what very few public systems do - a belief that prisoners, too, have great potential and can thrive as entrepreneurs in their own right. The work that Startup had done have significantly reduced recidivism by having ex-offenders turn towards entrepreneurialism as opposed to back towards a criminal system. In an interview with the BBC, Juliet Hope, the founder of Startup, says “They [the prisoners] have faced that, come out, and want to turn their lives around.” Juliet believes everyone deserves a second chance - we couldn’t agree more. This concept isn’t limited to the UK, or Startup’s work. The LEAP (Ladies Empowerment Action Program) (Instagram handle: @leapforladies) in the US also works for a similar cause. Entrepreneurial skills are shared with prisoners, especially women, to encourage them to pursue their dreams - not just with the right tools but the right support. Angkor Flowers and Crafts is a social enterprise based in Cabramatta, Sydney. Founded by Chea in 2014, the business employs women from migrant backgrounds who have low levels of education and have been raised with the belief that their sole purpose is to be a stay-at-home housewife. Originally from Cambodia, Chea has seen many of her female family members being made to finish their education as soon as possible and the stigma associated with women promoting professional careers. Many women who migrate to Australia are of similar backgrounds, and therefore have little work opportunities when they arrive. Chea hopes to help these women out: by teaching them how to create flower arrangements and liaise with clients, their confidence, language skills and employment prospects when they eventually want to find work elsewhere are increased. When Angkor Flowers & Crafts began, it only worked with migrants from Southeast Asian countries such as Cambodia and Thailand, but today women from as far as Peru, Iran and Chad are benefiting from their employment with the social enterprise. The universal appeal of flowers and its ability to be a “positive emotion inducer”, according to research, has made a difference in the lives of these women whose needs are often marginalized by public policy.